the lilly: got already bah DiGi 4G LTE in KK! 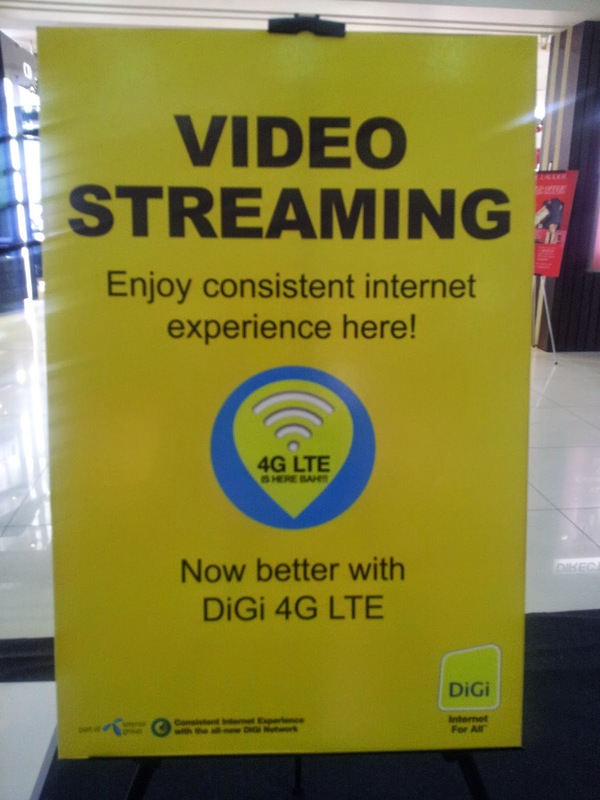 for those who have been a loyal digi customer like me, good news for you! 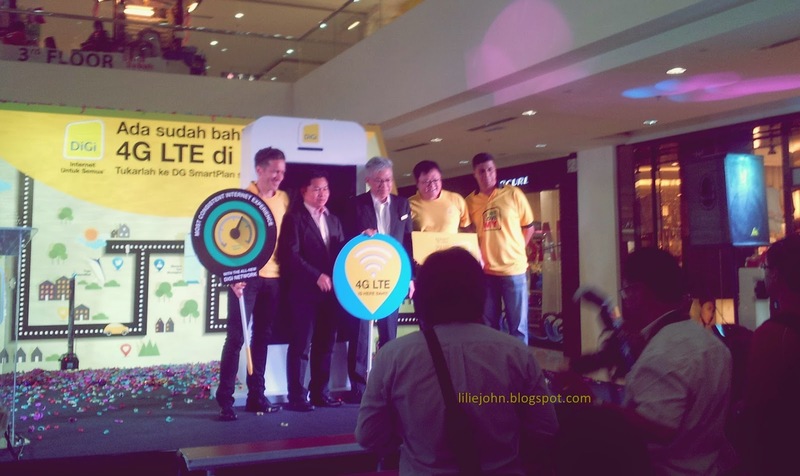 the DiGi 4G LTE has arrived in sabah!! 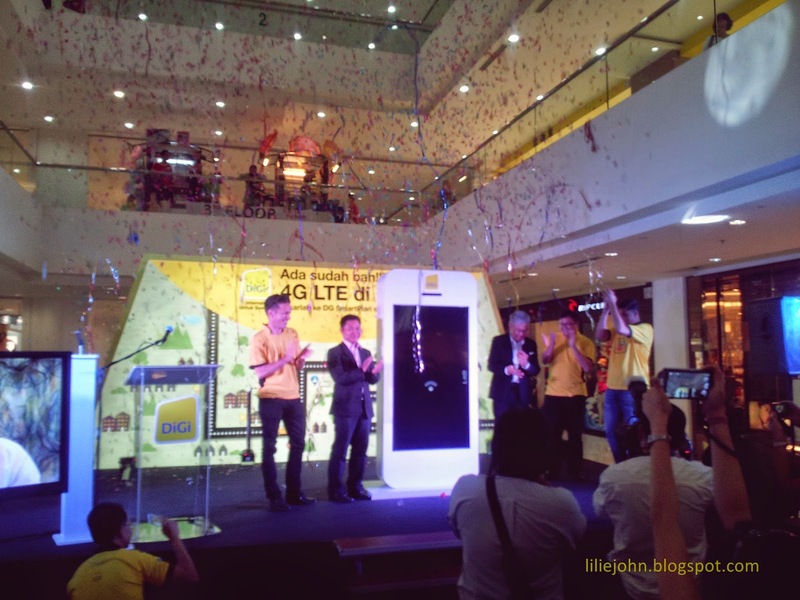 the DiGi 4G LTE official launch at Suria Mall, KK last friday 28th november. *took me so long to do this entry since i was so busy after the event and also, it's my first time doing event review. so, i don't really have any idea how to start this. -_-"
now DiGi user can say goodbye to 'lagging' because we have the DiGi 4G already in KK! i acknowledged that celcom and maxis already launch their 4G LTE but i never have the experience with any 4G connection before. i personally think that 3G is fast enough for my social media need. i mean how fast could it be? "hah? 10 times?? if it's too fast then the internet quota will finish faster la kan?" "the 4G LTE can actually go 12mbps but since we are afraid the quota will finish faster we set it between 5 to 12 mbps only to prevent this kind of problem happen, but even with this, we still received the complain because 5 to 12 mbps is fast already bah." 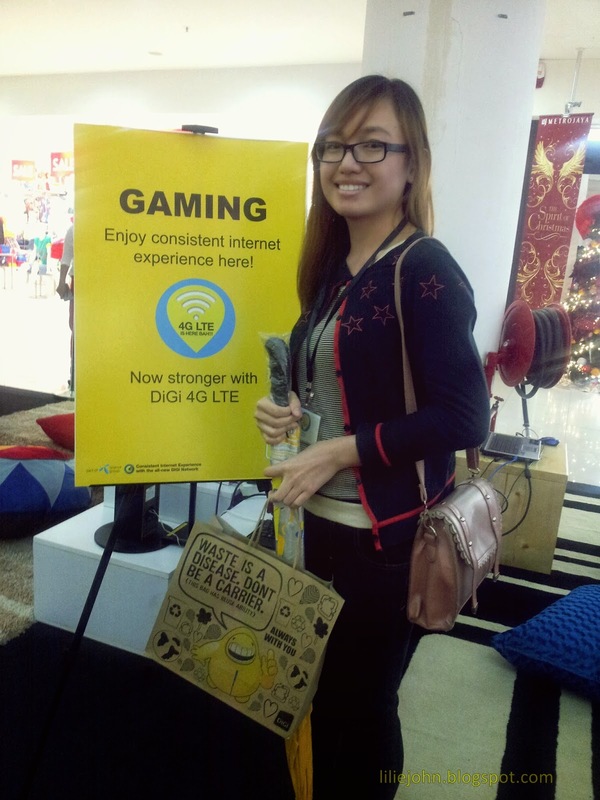 so, if you love streaming and pure gamer, then 4G LTE is made for you! well,i didn't get to try their gaming section since i don't even know how to start the game (i only play COC! amateur coc player) but i do have a chance to try their video streaming and social media section and yes, faster, no lagging. you dont have to wait any second to upload photo to facebook! the official event start at 2.30pm officiated by Datuk Bruno Vun. 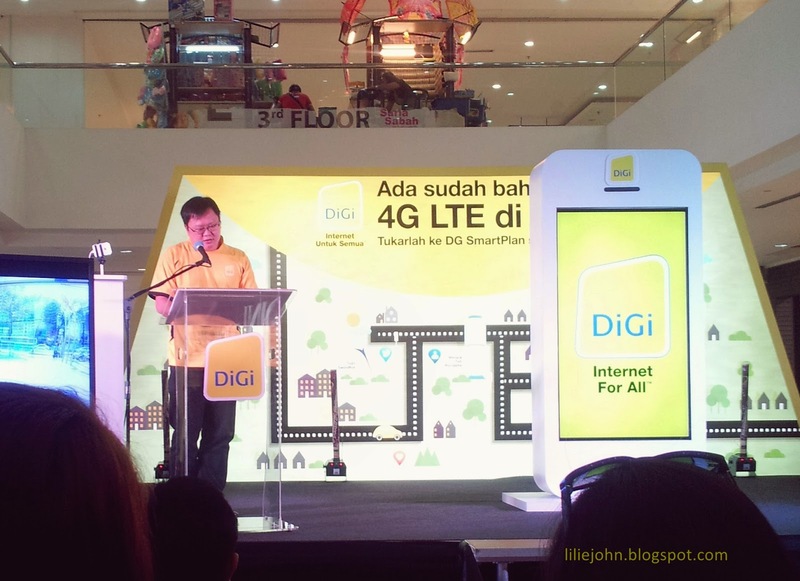 our DiGi's chief sales officer said that Sabah is the first country in Malaysia to launch DiGi 4G LTE. and i just know that Sabah is among the highest user data on DiGi's market in Malaysia! Datuk Bruno Vun speech, Premanent Secretary, Ministry of Resource Developement and Informtion Technology. 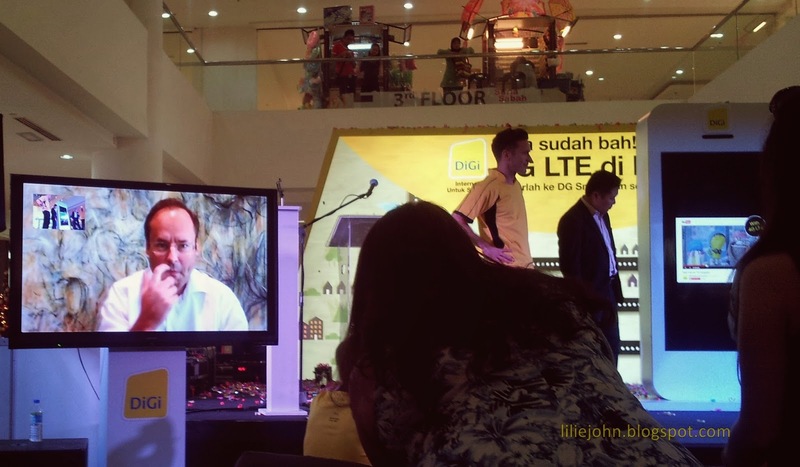 live video call with DiGi CEO- Mr.Lars-Ake Norling. the facetime went smoothly as expected! the event finish around 3 pm. after the event, i plan to upgrade my DiGi sim to 4G actually since it's free until 30th november only but there are so many people queuing and since my smartphone doesn't support 4G yet, i decided to just go home. *oh ya, they are also promoting some handphone that support 4G on this event. cheaper than the usual price but with DiGi internet contract la. to those who wan to upgrade your DiGi's sim but didn't have the chance to visit this event, don't worry. 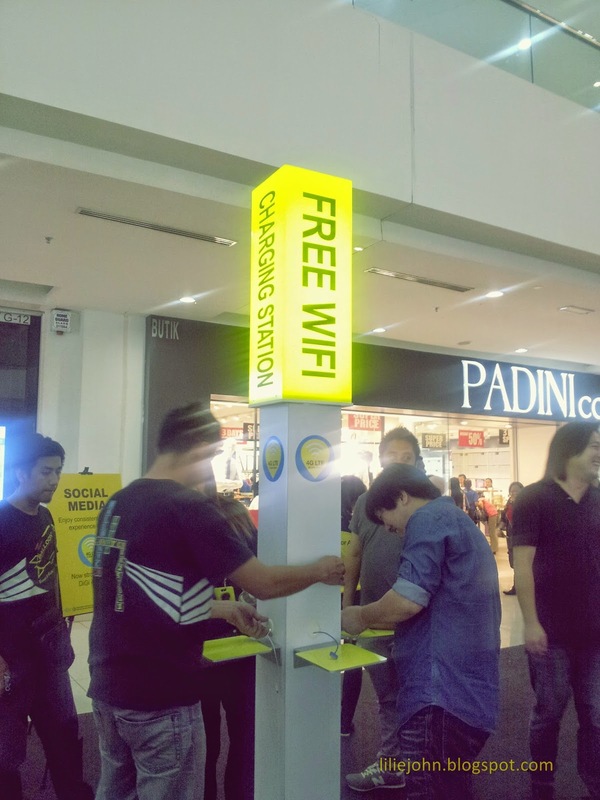 i asked the worker there and they told me that we can upgrade it anytime but we have to pay RM20 or 30 la. 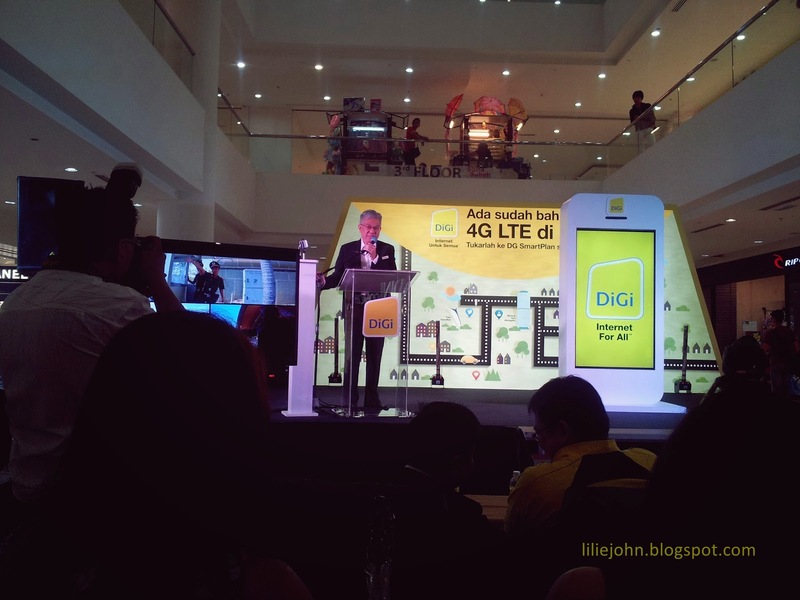 to know more about the new DiGi 4G LTE you can go to the nearest DiGi centre or visit their website. click here. overall, it's was a successful event. 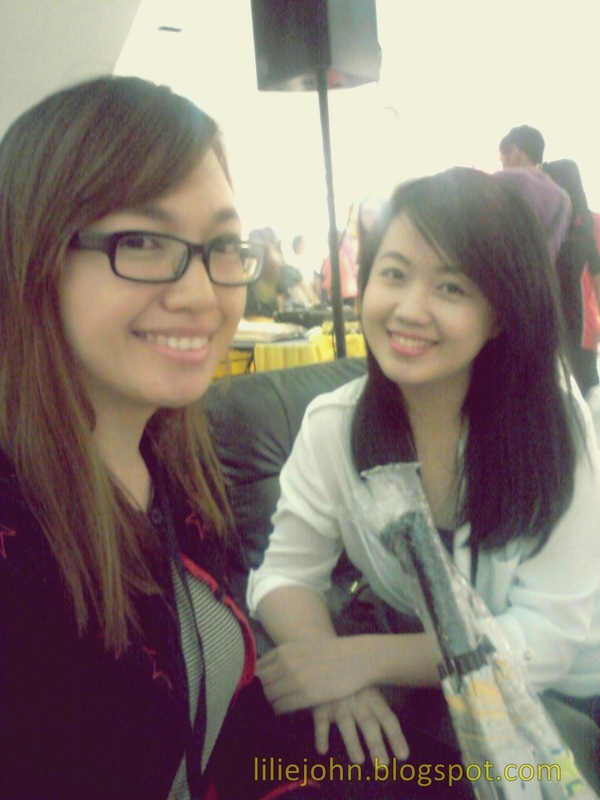 good things about this event is that you get to meet other blogger! meeting up with Eudora. ex-classmate and a blogger friend too. but i only have this picture to display since i forgot to ask for the other's blogger picture. 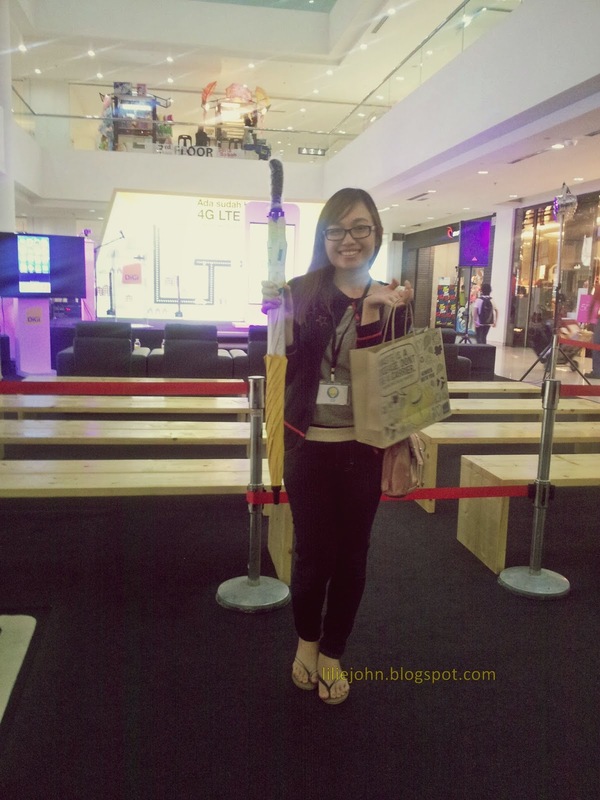 free goodie for blogger. an umbrella! and new umbrella for my car! i just broke my umbrella 2 days before the event and DiGi is giving me a new umbrella! 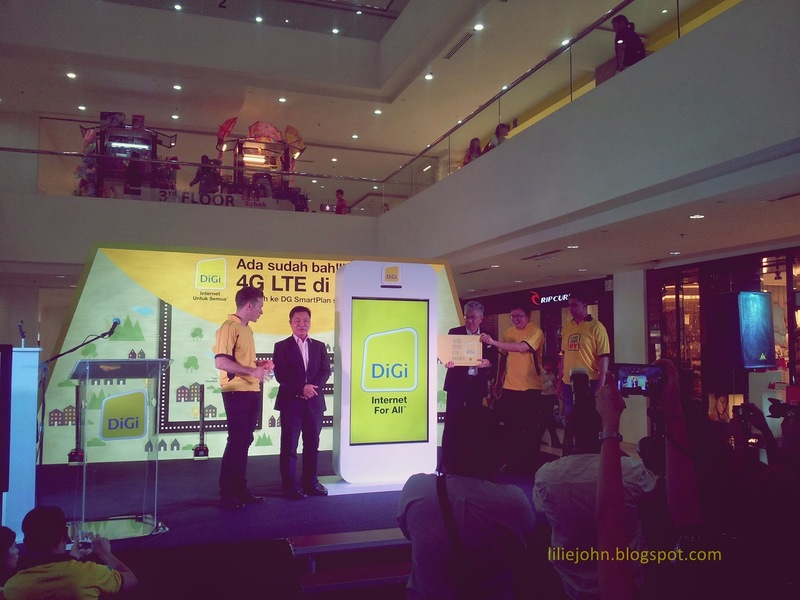 DiGi said that by the end of this year DiGi 4G will cover 84% of KK area and other area in sabah. i don't know if this sound stupid but i've actually been wondering if this 4G line will effect the 3G line. because recently i heard some of my friends complaining about their 3G line has become so slow since the existence of 4G coverage in their place. or maybe they are just being paranoid. Hi Lilie! It's a pleasure meeting you the other day. Tapi lupa pula mau exchange number fon kan hehe..